Deric C. Feacher, LLC d/b/a The Messenger Speaks is a company of professional, motivational keynote speakers for organizations, companies, churches, governments, youth, college students and the educators who teach them. The Impact Speakers talks are timely and so dynamic that, leaders, employees, members, students and educators will talk about long after the presenter has left! 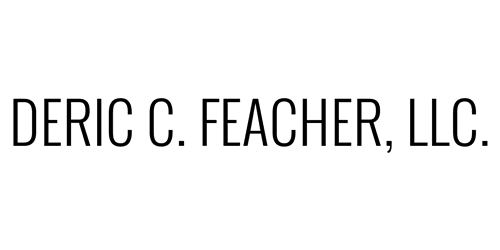 Deric Feacher, “The Messenger,” is the motivational speaker you need! He works regularly with young people who face almost insurmountable challenges, but after hearing him speak, realize they have the tools to reach their full potential and they are just one small step from success! If you are looking for a high school graduation speaker, Deric is the perfect motivational speaker to send your students to the next step in their life! These are not your typical talks from behind a lectern wearing a suit and tie. These are impactful presentations on how to rise from mediocrity to excellence. Deric and other impact speakers will customize informational, inspirational, motivational and educational talks to meet the needs of the organization they speak to by having a pre-presentation phone conference to discover what the organization expects to get out of the presentation. The Messenger Speaks presentations will ignite a sense of responsibility in the lives of those individual who attend the presentation, training, workshop or visioning session. Deric’s inspirational keynote speeches are life-changing because of how he intertwines his inspiring personal life story of going from teachers trying to label him as an ESE (Exceptional Student Education) and SLD (Specific Learning Disability) student during his middle school years. He has surrounded himself with other Impact Speakers who also have a great story that will help you organization and or an individual reach their full potential. Deric keynote signature speeches are motivational, entertaining, and inspirational — they are not to be missed. Employee relations will be improved, youth will be inspired, student athletes will find their fire again and all will walk away feeling the wow factor! The Messenger Speaks will provide powerful, relevant entertaining talks that will always Educate, Enlighten and Empower!